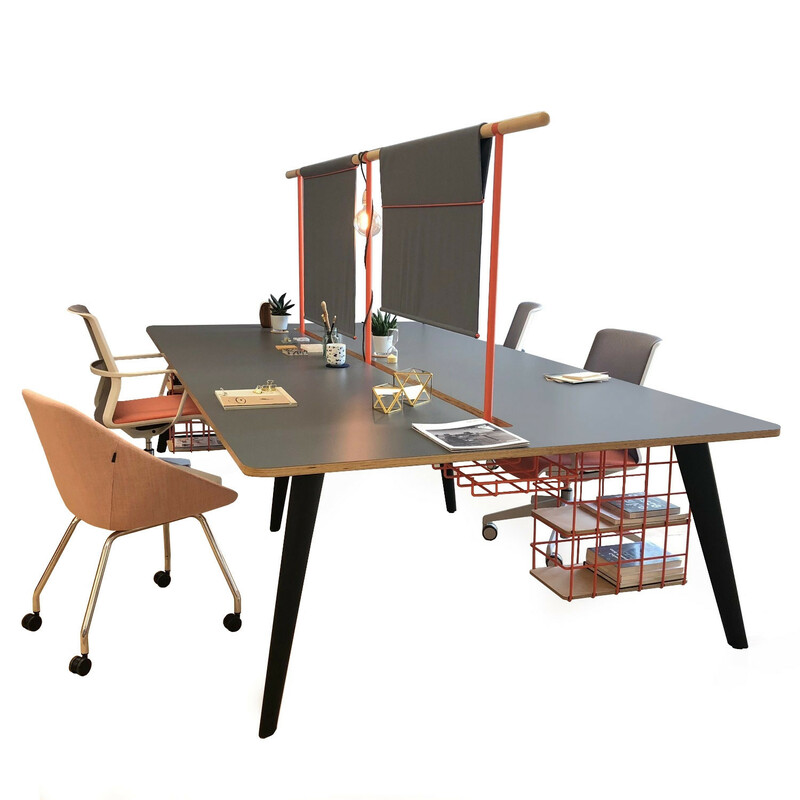 Pailo Bench Desks have been designed to provide solutions for a more domestic working environment. 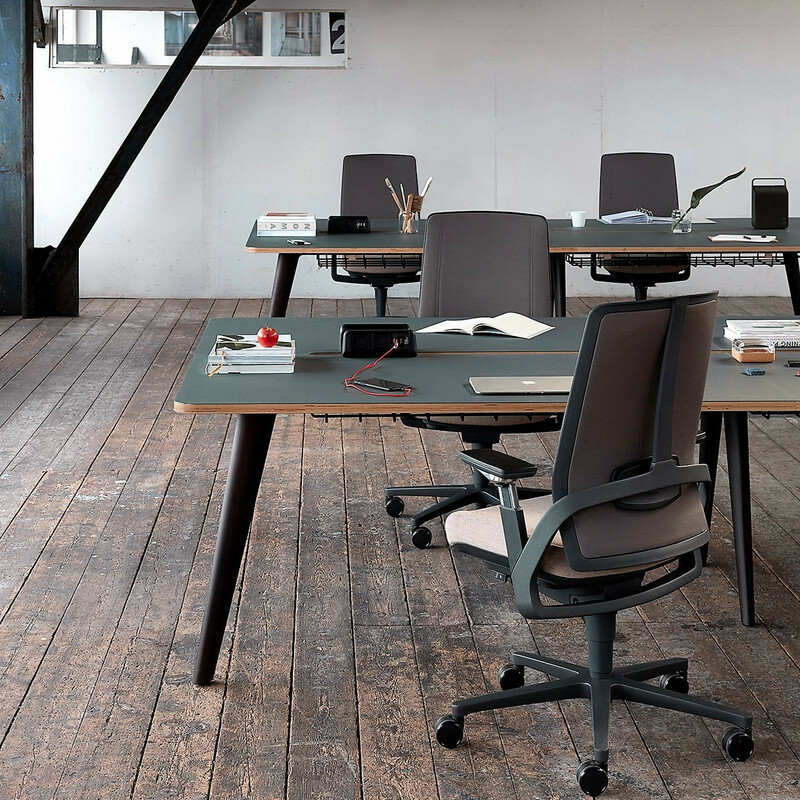 It introduces a softer approach to the mundane formal bench desking systems and explores new ways to introduce fabric into the workplace. 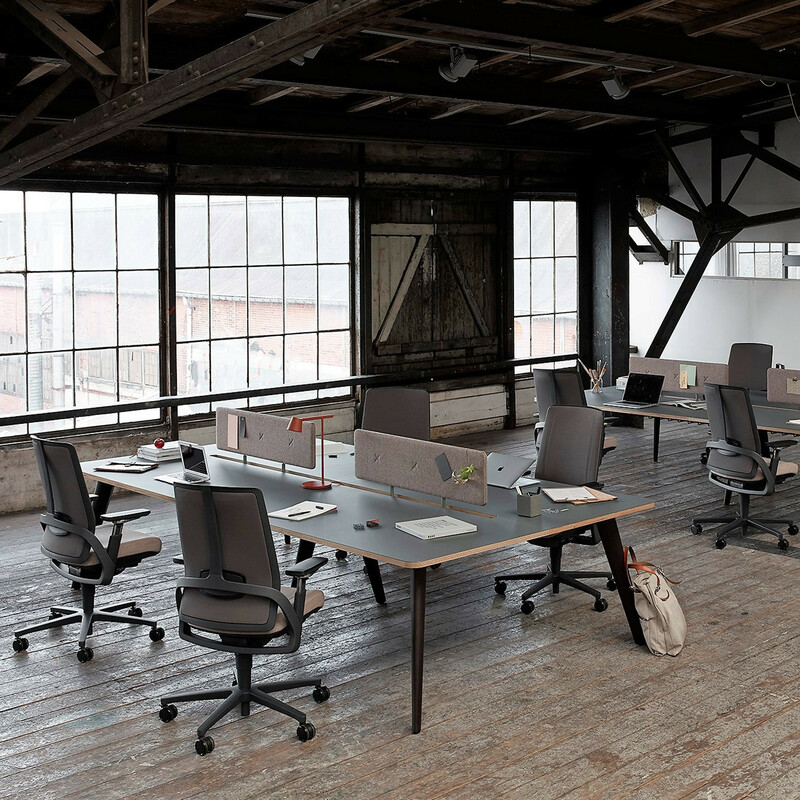 The Pailo Desk range incorporates single and back-to-back desks as well as two shapes of project tables to suit more informal and relaxed working styles. 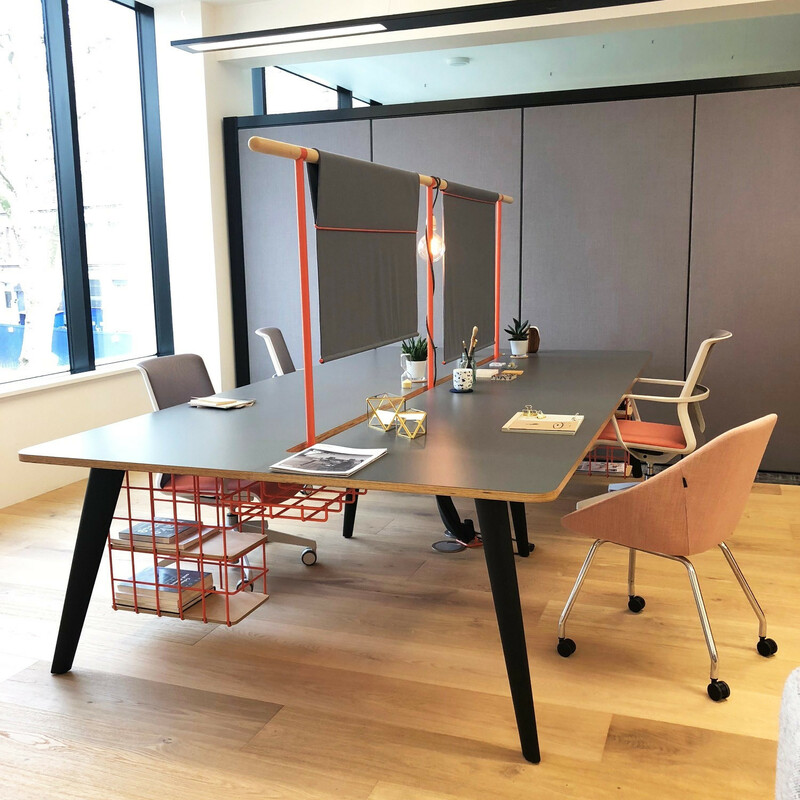 Designed to offer customisable areas to suit even the most transient of workspaces, the inclusion of a gantry provides a hanging space for Pailo’s versatile range of screens and desk accessories. 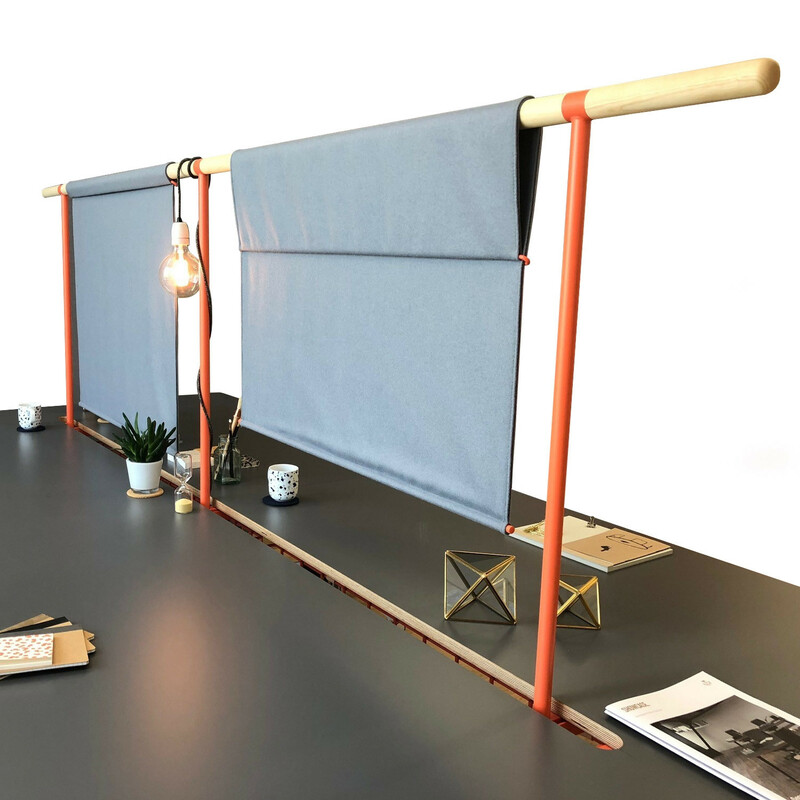 Pailo Bench Desk’s hanging screens can be suspended from the gantry by bridle leather straps, leaving the above space free to be used for the pendulous lighting and plants. As an alternative the adjustable drape screens offer personalised levels of privacy. Attached to the gantry they can be raised or lowered by the users to suit individual preference. 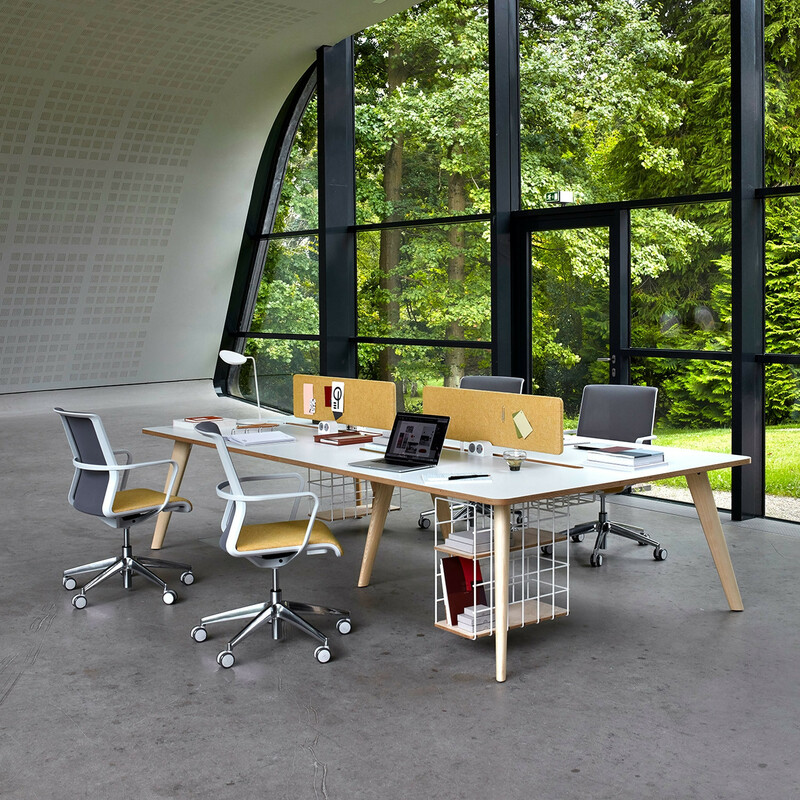 Pailo Bench Desks also offer users optional addition of a suspended wire basket, for keeping belonging off the floor and close to hand. This personal desk accessory provdes easy access to multiple shelves. You are requesting a price for the "Pailo Bench Desks"
To create a new project and add "Pailo Bench Desks" to it please click the button below. 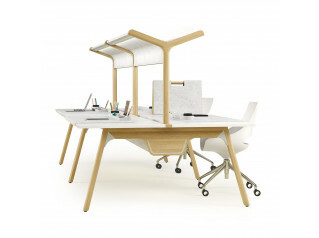 To add "Pailo Bench Desks" to an existing project please select below.